Albert Whitman & Company, 9780807536322, 32pp. Time for a field trip to the farm to see chicks hatch--and discover opposites too It's still a little cold and wet outside, but it's warm and dry inside the barn where the eggs are waiting. You'll find things that are big and little, short and tall, from beginning to end of this springtime story. 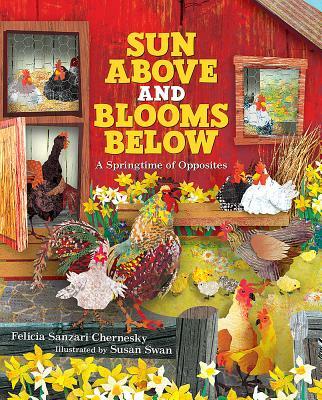 Felicia Sanzari Chernesky is the author of Cheers for a Dozen Ears; Pick a Circle, Gather Squares; and Sugar White Snow and Evergreens. She has an MFA in Poetry from Western State Colorado University and currently lives in New Jersey, with her husband, kids, cat, and poetry books. Susan Swan is the illustrator of many books for children that celebrate the season, including Out on the Prairie, Sugar White Snow and Evergreens, and When Autumn Falls. She lives in Texas.